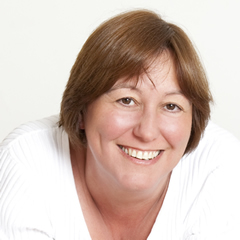 In private practice for over 20 years, I am a qualified Counsellor and Supervisor based in East Northants. I accept referrals from public and private sector organisations as well as individuals. I have considerable experience working within the NHS, in hospitals and GP surgeries, and regularly take referrals from BUPA, AXA, Aviva and other healthcare providers. Through helping many hundreds of people, I have come to understand most forms of personal distress, and its affects on the individual, their families, partners and friends. I am committed to working with my clients to alleviate this distress. My approach is Integrative and Psychodynamic. I consider no one way of working to be right for everyone, and so draw on a range of therapeutic models, depending on the individual's needs. I find it particularly useful to explore how our early experiences shape our lives. I work with people over the age of 17. I am a Registered Member of the British Association of Counsellors and Psychotherapists (MBACP Snr Accred) and work to their Code of Ethics.